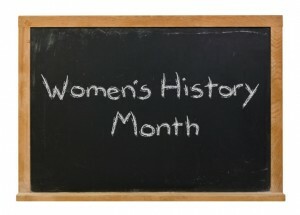 March is National Women’s History Month, which serves to remind everyone of the important women of the past and present. Niagara Falls has long appreciated the power women wield to shape history; in fact, some of Niagara’s most significant developments occurred because of the wits and wisdom of women. If you visit Niagara Falls in March, make sure you remember these four women while you enjoy Niagara’s amazing attractions. You have likely heard of the Maid of the Mist, the must-see boat tour that takes tourists up close and personal with the mystical water at the base of the falls. However, you might not have heard about the legendary American Indian woman who gives the boat its name. According to the Ongiaras Tribe (the group that lent their word for “thundering water” to the entire Niagara region), long ago a young woman name Lelawala was wholly distraught by the loss of her husband and decided to throw herself off the edge of Niagara Falls. Instead of crashing into the water below, Lelawala was caught by Heno, the god of thunder, who invited her to live with him and his sons behind the Falls’ veil of water. Lelawala is said to have lived for several decades with the gods, mothering several children and saving the nearby human tribes from certain ruin, including from pestilence, flood, and famine. Without Lelawala’s diligent eye, the native peoples around Niagara may not have been around to enlighten European explorers of the region’s fertility. Despite the natural romance in the misty air, Niagara Falls wasn’t always the Honeymoon Capital of the World. For much of history, Niagara Falls was simply a magnificent wonder enjoyed by a handful of local colonists and native American Indians. However, around the beginning of the 19th century, Theodosia Burr — noteworthy daughter of America’s third vice president, Aaron Burr — decided to travel to the rumored waterfalls with her newly minted husband, and a worldwide tradition was born. Following in her footsteps, millions of newlyweds flocked to the landscape. Today, countless thousands of couples make the pilgrimage to Niagara Falls every year to experience the natural ardor of the region, and it is all thanks to Theodosia. While the War of 1812 may pass through the sieve of American memories, it remains one of the fiercest military skirmishes that Canada has ever fought, especially on its own turf. Situated squarely on the border between America and Canada, Niagara Falls was a contentious zone filled with bloody battles. American and Canadian families alike were torn apart on the battlefield. One woman sought to end the troubles of her family by intervening in the military efforts. Laura Secord, a Niagara local, by chance overheard the military strategy of the American armies on the Niagara peninsula. Frustrated and frightened by the frequent war activity that threatened the livelihood of her and her husband, Secord refused to wait for a military messenger; she walked 20 miles through the Niagara wilderness spotted with enemy camps to deliver her news to the closest Canadian military company. As a direct result of Secord’s heroism, the Canadians were able to ambush the Americans and push them out of peaceful Niagara. It is difficult to imagine Niagara Falls without thinking of the long legacy of daredevils that flock to this astounding place. It is even more difficult to imagine that these risky stunts were all inspired by the work of one 63-year-old woman looking for fame and glory. In 1901, Annie Edson Taylor realized late in her career as a schoolteacher that she had not generated enough savings to keep her housed and fed for the duration of her retirement. Instead of resigning herself to the poorhouse, she designed a large, oak barrel, stuffed herself into it, and threw herself off into the rushing water of the Niagara River and down the plummeting Falls. While she suffered little injury, she gained little fortune from her act. Still, despite Taylor’s admonitions against others attempting the feat, dozens of copycats have tried (and succeeded as well as failed) to survive a trip down the Falls. Oh…. and don’t forget about Harriet Tubman who was documented to smuggle Freedom Seekers across the Niagara River. Annie’s maiden name was “EDSON”, NO “I” IN THAT NAME!!!!!!!!!!!!!!! Thank you for the correction, I have updated the post to reflect this.